NATASHA: My name is Natasha Smith, sometimes better known as REDCOAT. I was born in Cambridge, England, and raised in Essex until we moved to Pennsylvania in late 2002. In late 2003, we moved to North Carolina, where I still reside. I'm 21 (my birthday is March) and a Senior at NC State University... GO WOLFPACK. I graduate in May of 2014 with my Bachelors in Criminology and minors in Forensic Science and STS. Alongside being a full-time student, I work at the best "fruit stand" in the world doing tech support at the retail level. TH: What stereotype bugs you the most when it comes to the whole girls and sneakers topic? NATASHA: There are two. The first is that girls don't know anything about sneakers and therefore can't hold a conversation about sneakers. 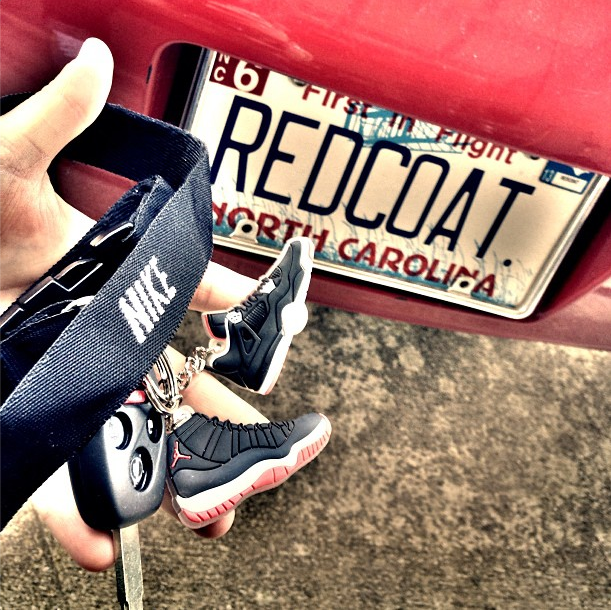 The second is that female sneaker heads must have gotten into the game through their boyfriend/significant other. NOPE. I got into collecting sneakers because I love being comfortable, love color, and love the history/technology behind certain shoes. 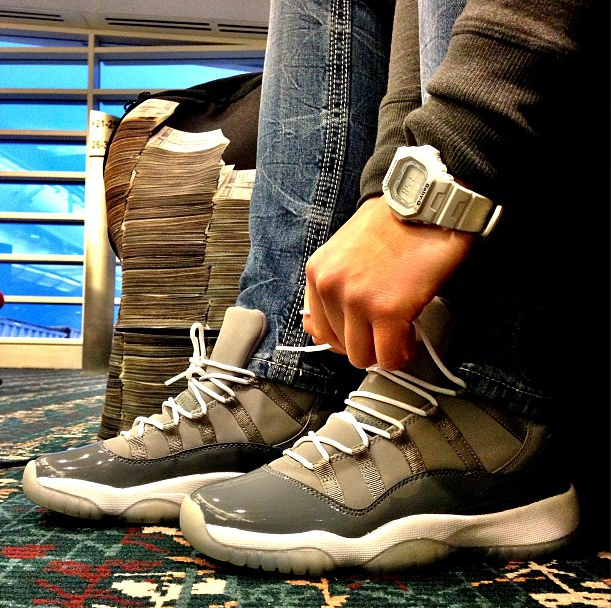 TH: Any advice for the other women/girls in the sneaker game? NATASHA: Don't let the guys get to you! I've come across many "men" who try to put my collection down based on the fact that most of my collection is GS sizes. Apparently that means that they're easier to get and they're super cheap. While they may be a bit cheaper, they're definitely not easier to get (most of the time). 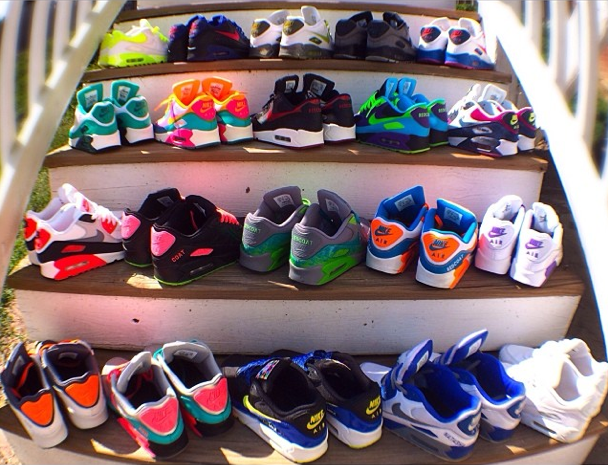 Collect sneakers because you love them, not because of what everyone else likes or does. 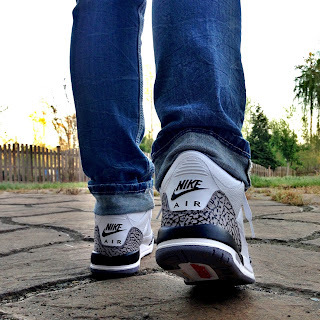 NATASHA: I’d have to go with both the women’s Metric Roshe Run Quickstrike or the Retro ‘88 White Cement Jordan III’s—not because of the “Nike Air” on the back, but rather because I love the colorway and style of the sneaker. NATASHA: I might catch some heat for this... But I'd have to go with the KD VI. Although it's come out in some nice colorways, I'm really not a fan of the silhouette or the materials used on the shoe. It almost looks like a soccer cleat to me. Then again, I'm not really a fan of the KD V either. NATASHA: Solar Yeezy II's. SIKE! 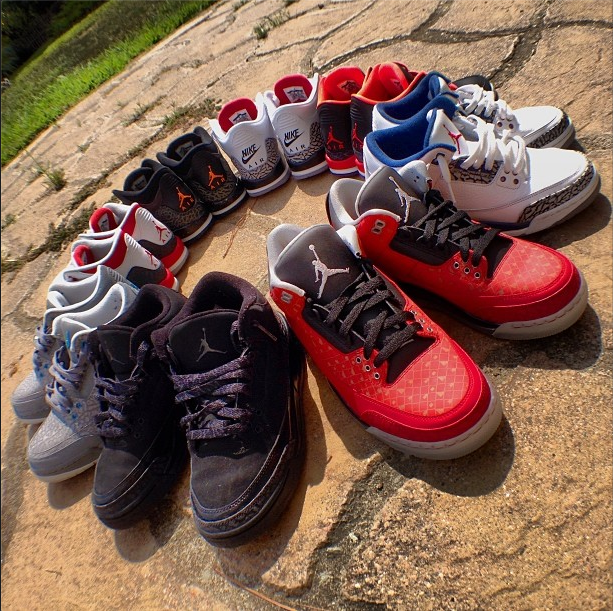 Probably another controversial one, but most likely the Doernbecher VI. I absolutely love the materials and colors used on the shoe, and I think the Doernbecher program is amazing. 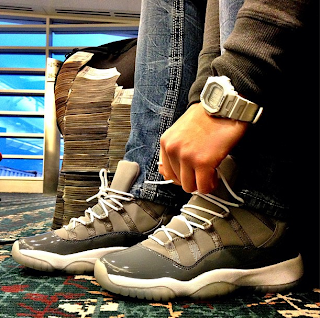 I'd probably also have to retro a couple of Cool Grey XI's so I could stock up on a few. NATASHA: Most definitely the ’88 Retro III’s. I managed to get my hands on them not once, but twice. The first time, I sat in front of three computers at 8 am trying to secure a pair. A friend who was trying for me ended up getting them in his cart first, so I had him go through the checkout for me while all of mine failed. I received them and found that they ran incredibly small so I couldn’t really wear them. I was at work during the big NDC restock of them (at 4:51 pm) and managed to take a break right then. A coworker and myself were sat in front of three iMacs in our break room with Nike’s twitter page up, waiting for the link to go live. Once again, my computers failed, but my friend managed to get my size in his cart. After a turbulent 10 minutes of the site crashing and the cart randomly deciding to appear empty, I finally got the order confirmation for my larger second pair which actually fit me. REDCOAT: I wouldn’t say that any one material makes me buy a certain pair of shoes. It’s all about the combination of materials, textures, and colors used in the shoe, not just one component. I think that people have been getting a little carried away with using too much of a single material on sneakers recently. I think every material has it’s own iconic place; patent leather on the toe box of XI’s, elephant print on the heel and toe surround of the III’s, and nubuck on Spiz’ike’s. NATASHA: Excuse me while I rant for a minute. Resellers annoy the s*** out of me. If you don’t personally want something, DON’T BUY IT! It’s unfair for those who do actually want to buy the sneakers but can’t because of a small group of selfish people trying to make a quick buck. I also wish that Nike would produce more of the shoes from the Doernbecher collection—the extremely limited release numbers encourages reselling for extortionate amounts of money. The whole purpose of the Doernbecher program is to support the children’s hospital, not to line the pockets of the people who own the best bots or have the best connects. NATASHA: Without a doubt, it was the all white Air Force One. I don’t really think I need to say anymore. NATASHA: Despite what everyone seems to think, I’m unbelievably picky when it comes to sneakers. I suppose color would have to be the single biggest influence. I strongly dislike yellow on sneakers, so you’ll never catch me in Laney’s or Thunders or Lightnings. Volt is a totally different story though, hands-down one of my favorite colors. 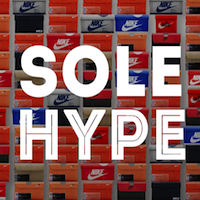 TH: What's your favorite specific shoe/colorway from the following categories? 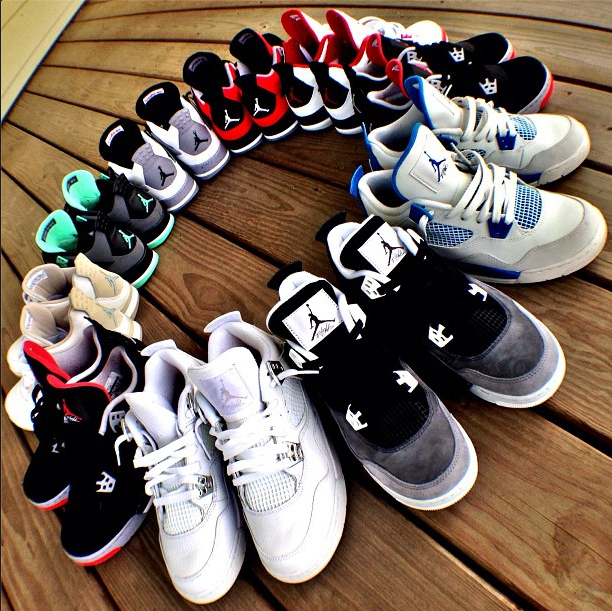 Jordan, Nike Basketball, Lebron, Nike SB and Nike air max. NATASHA: Jordan: Cool Grey XI, Nike Basketball: Nike Air More Uptempo Olympic (shame I can’t find a pair in my size), LeBron: 8’s are easily my favorite body, and I love the Sprite, South Beach, and Miami Nights colorways, Nike SB: not a huge SB fan, but I do love the SB Dunk Low Pro Challenge Red colorway, Nike Air Max: Air Max 90’s are my “thing.” I picked up a pair of BEAUTIFUL hyper fuses several months ago; they’d have to be my favorite thus far. NATASHA: Buy what you like and what fits your lifestyle—stay in your lane. You’ll look silly if you buy sneakers based on what everyone else is wearing and it doesn’t fit your style. And trust me, those people are easy to pick out.